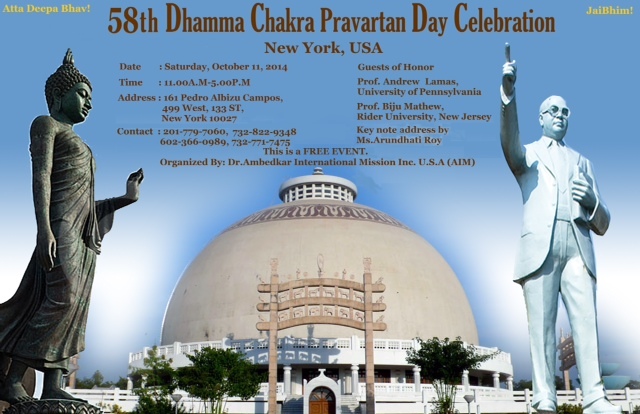 Today, October 11, 2014, marks an interesting moment of challenge and possibility in the development of anti-caste thought and liberation philosophy. This morning, Scott Simon — a Peabody Award-winning correspondent for National Public Radio and host of NPR’s Weekend Edition Saturday, broadcast an editorial entitled “In A Way, Gandhi Also Won 2014’s Nobel Peace Prize”, which recycles the standard, misinformed line on Gandhi in the United States and around the world. Dalits (“Untouchables”) and other oppressed peoples in India know better. And so do those who have critically studied the collected writings of Gandhi and his historical record in South Africa and in India. Rev. Dr. Martin Luther King Jr. represented the best of what many have come to understand as the Gandhian way, but tragically, Gandhi himself did not. Scott Simon’s editorial broadcast — which was assuredly written with the best of intentions and which arises from what Americans (myself included) and so many others have been taught since childhood about Gandhi — perpetuates a mythology that has long distorted history and provided cover for the continuation of unjust inequalities and hierarchies. But, fortunately, today ended not with well-rehearsed myth but with well-documented facts from the historical record of Gandhi’s own writings in a brilliant, public lecture in New York by Arundhati Roy — the world-famous Indian author and political activist who may be best known as the author of The God of Small Things (which won the 1998 Man Booker Prize for Fiction). 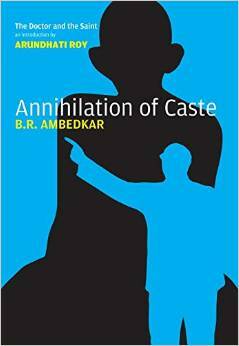 I encourage everyone to read Arundhati Roy’s erudite and myth-shattering Introduction to the recently published book of Dr. B. R. Ambedkar’s 1936 Annihilation of Caste (which also reprints an important exchange between Gandhi and Ambedkar). In my view, no one who reads Arundhati Roy’s Introduction will ever think about Gandhi in the same way again. And even Scott Simon — after perhaps inviting Arundhati Roy onto NPR for an extended interview — might consider broadcasting an editorial about a posthumous Nobel Peace Prize for Ambedkar, who not only authored the Indian Constitution but also led the struggle against anti-caste discrimination — the missing piece of today’s human rights struggle. This book will immediately go onto the reading list for my courses at the University of Pennsylvania.